Made of durable, molded steel with chrome plating, the Useful. 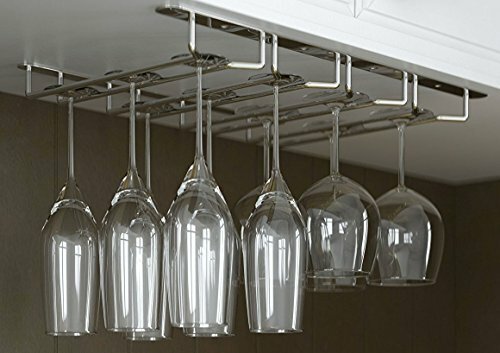 below-cabinet hanging stemware rack is a convenient and practical addition to your kitchen. it holds up to eighteen hanging stemware pieces, with convenient placement and removal. If you have any questions about this product by J Miles CO, contact us by completing and submitting the form below. If you are looking for a specif part number, please include it with your message.